STARDUST (Glasscock-Falk 1964) S.E. White. Grandchild of Le Cygne. Not a hybrid but one of the parents of most of the hybrids and it is the source of white in them. Registered Mrs. Elizabeth Falk, Plainfield, Illinois. Bulletin #172 March 1964. 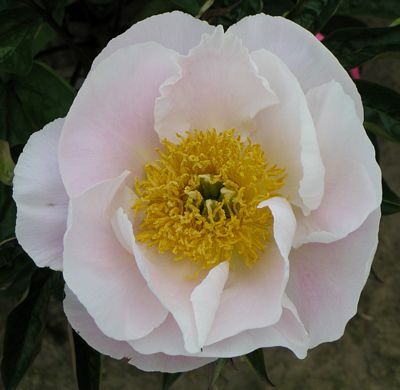 STARDUST Rounded petals of ivory white give a layered effect in this striking peony. The tuft of deep gold stamens is the perfect foil to the petals. Excellent foliage. The flower is long lasting. 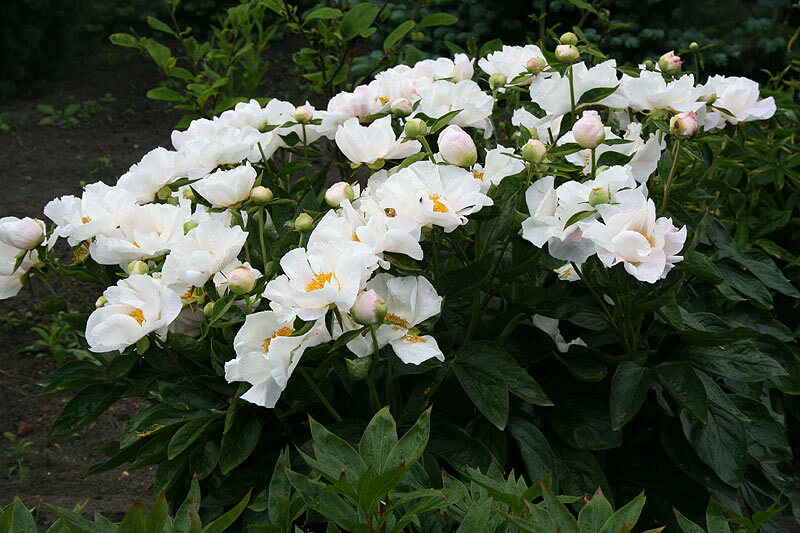 A special single white for the garden and for the vase. white, single, Early, 80cm. Stardust (Glasscock/Falk 1964) ML. 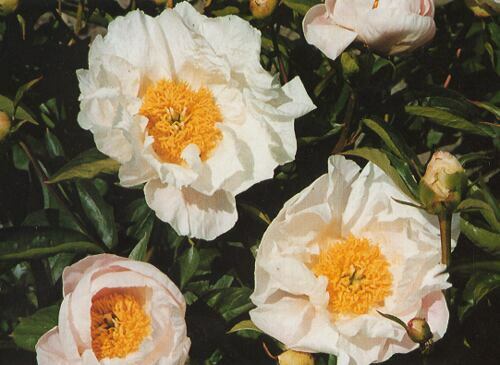 Single; cupped white petals encircle golden stamens and green carpels. 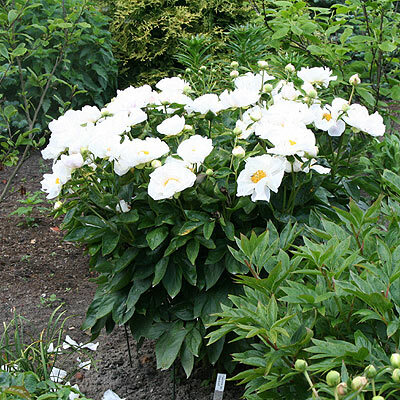 Medium height, attractive bush and long season of bloom. Said to be a grandchild of much admired LeCygne and to have been a parent of Glasscock hybrids. STARDUST White, single, Early, No staking. 80cm. 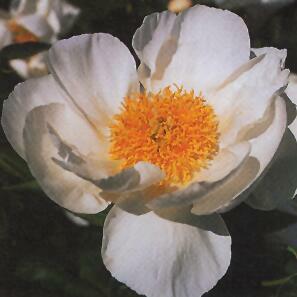 Rounded ivory white petals make a layered effect around the deep golden stamens in this striking peony.